Oh the pleasures of a weekend BBQ! Even better when it's paired with a lazy staycation where all you have to do is chill out, relax and let everyone else do the work. 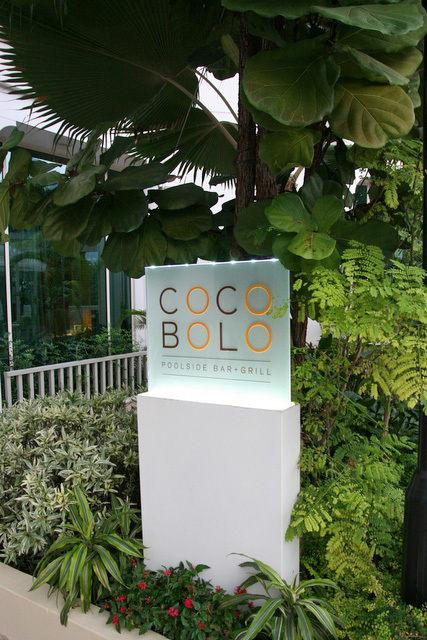 During our stay at the Park Hotel Clarke Quay, we had a nice poolside BBQ dinner at Cocobolo Bar + Grill. This is a bit of a hidden find for me, because I hadn't heard much of Cocobolo previously. But it was a pleasant discovery, because the food's not bad at all and I'm already thinking of going back. Cocobolo is small but cosy, with wooden deck flooring that sets a resort-like mood. The bar serves cocktails and drinks, and the whole place overlooks the outdoor pool with cabanas. But our eyes are on the BBQ bounty! 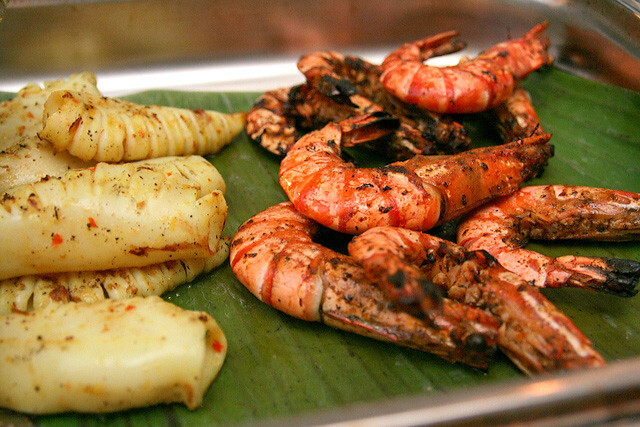 You can pick and choose what you want, and then see them transformed into grilled goodies! 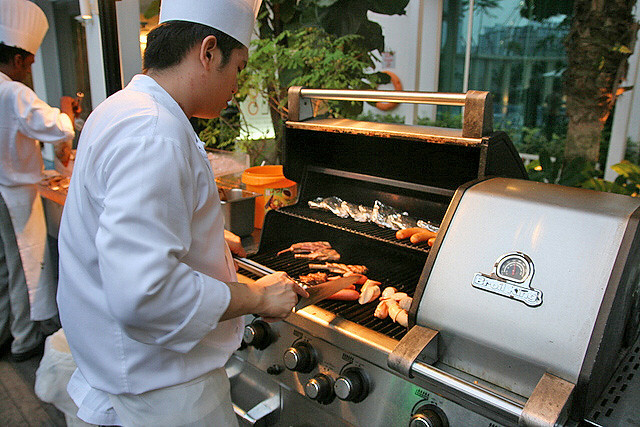 Several staff led by Chef Wilson Shum are on hand to help you grill the items to your preferred doneness. See? You don't have to do any work! 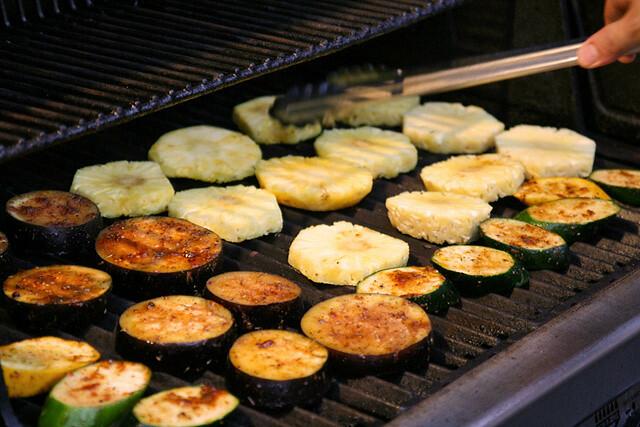 Zucchini, squash, eggplant and pineapples caramelising on the grill. The pineapples are really good, just like at a churrascaria, to help you cut into all the meat later. I did wish the eggplant slices were a bit thinner though. 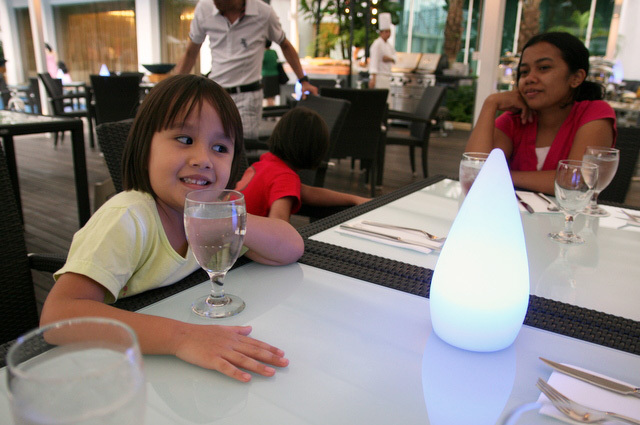 Jolie was very amused by the free-standing table lamps that kept changing colour. 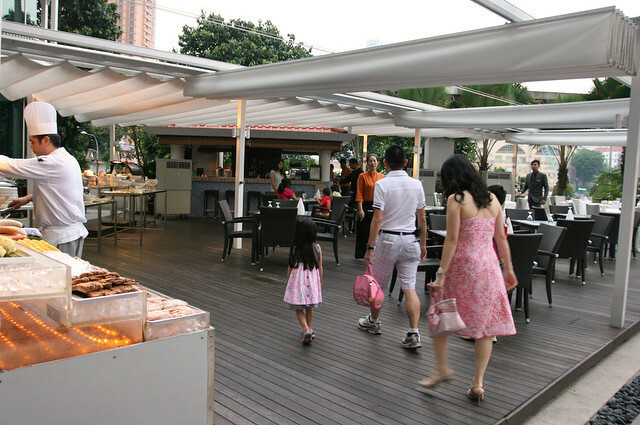 Meanwhile, we enjoy the breezy outdoors and the aromatic sizzle that fills the air as we await our food. 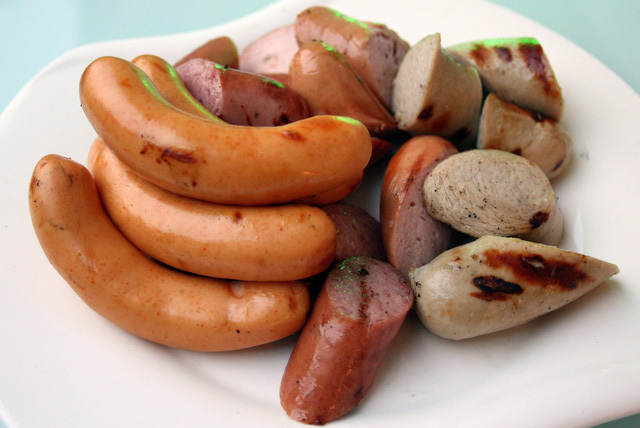 We kicked off with a platter of sausages and bratwurst. The cheese sausages (left) are guaranteed to be a hit with kids, that is, if the adults don't polish them off first! I also liked the veal and other pork sausages. 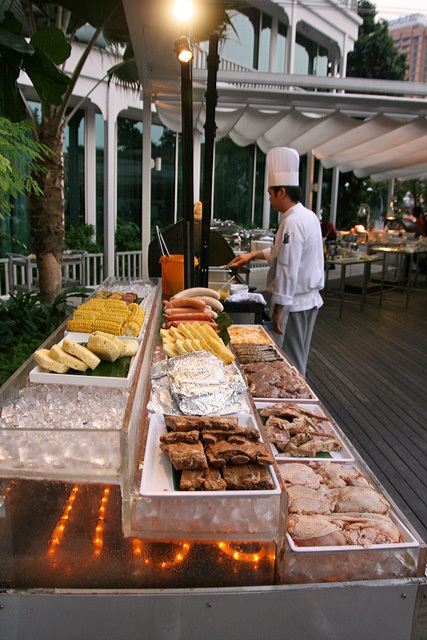 There's plenty of salad for you to start with as the chefs grill your food. 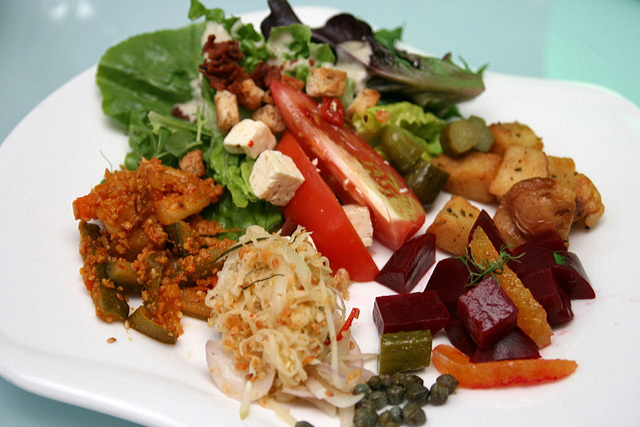 There are cooked vegetables too. 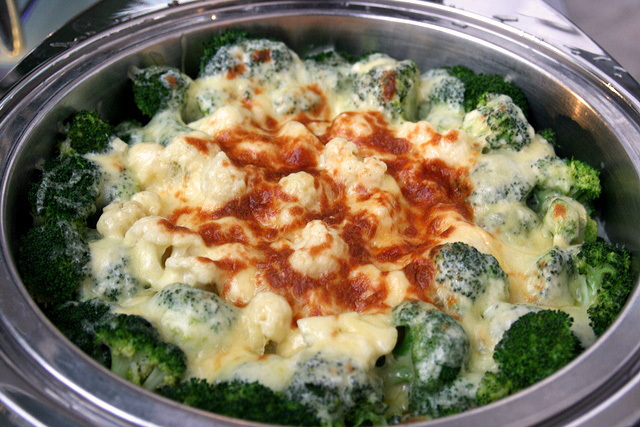 Broccoli and cauliflower topped with grilled cheese. 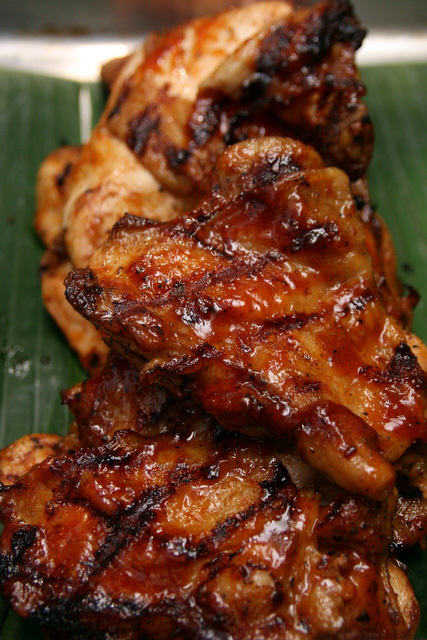 But let's jump right into the barbecued items, especially the good stuff! This is their signature item, and deservedly so. 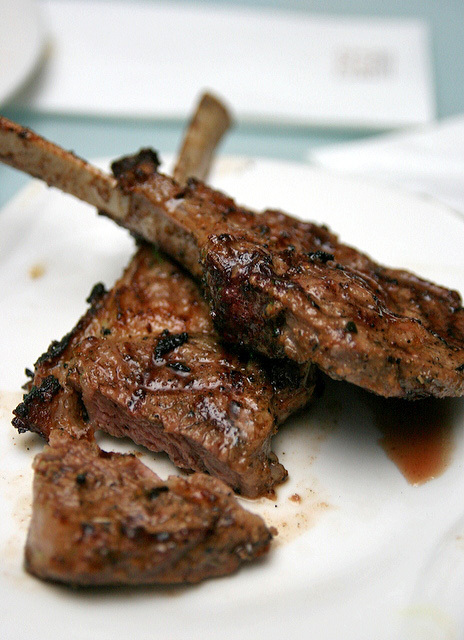 Tender and grilled just right, these lamb racks are incredibly well-seasoned with herbs, spices and garlic. This alone is almost worth the price of admission. This is also very good. I could eat lots of this. 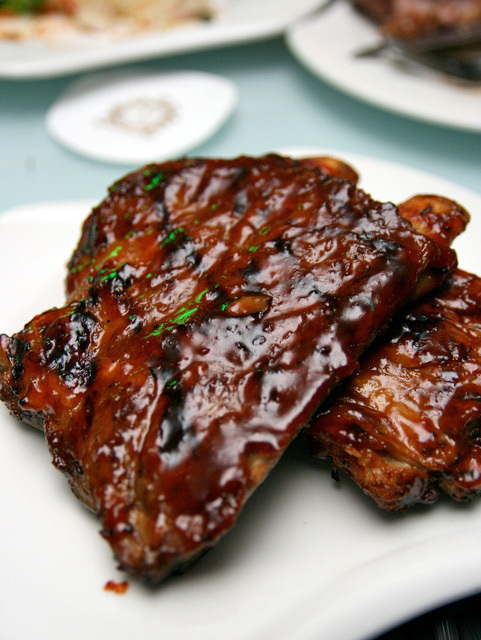 Ah, my mouth is watering at the memory of the lamb racks, and these sweet, juicy, tender ribs...next time I'm not sharing. 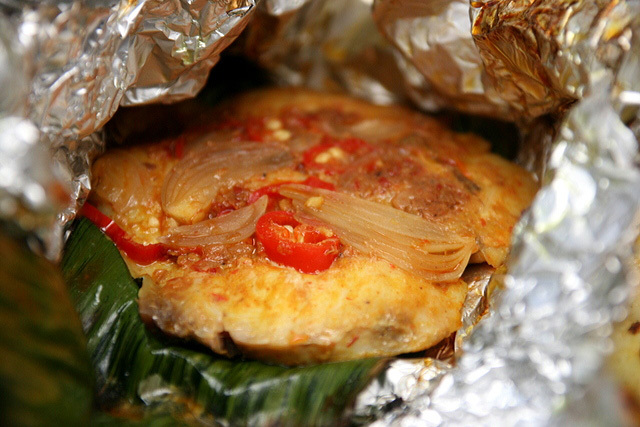 Again, the seasoning is nice and spicy, but the the grill may have been a little too hot for the fish, and it may have spent time still steaming in the foil-wrapped parcel after it's been taken off the grill. The flesh was just a tad overcooked. By this juncture, we were really full, but I just had to try what the beef steaks were like. 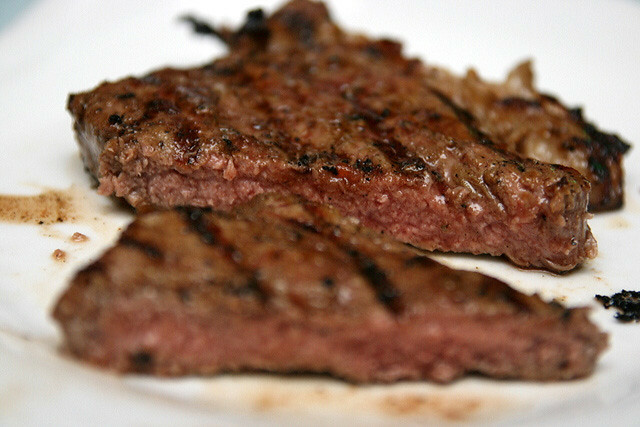 Not bad, good seasoning as usual, but a little lean. I also should have asked for a level of doneness lower than what I am used to. Various mini desserts, cakes and pastries - to put back what you spent on the swim earlier in the day. 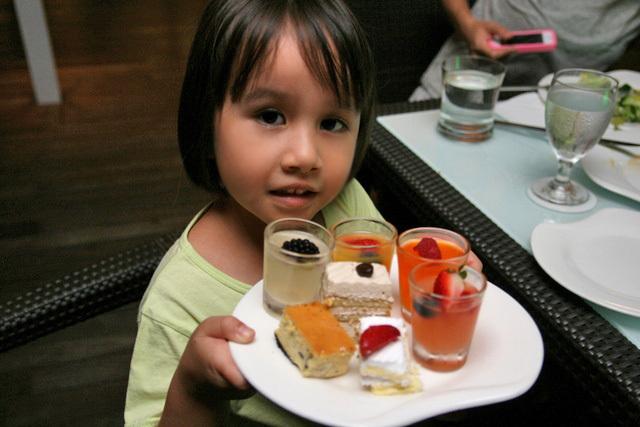 The jellies are good fun, and refreshing after all the grilled meats. And just when we thought we'd reached the end, they bring out the ice cream! Mini cones! So delightful! You can't say no to these. 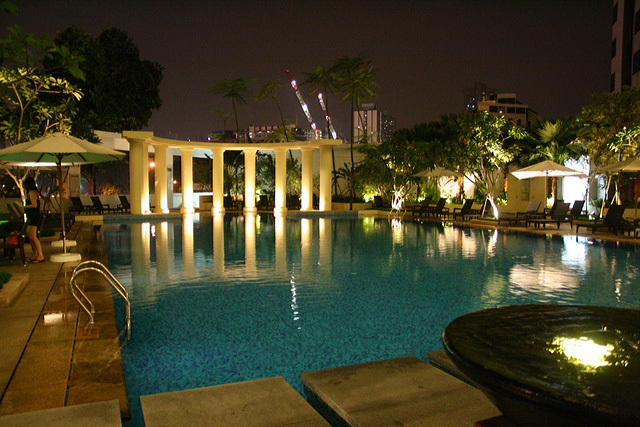 The hotel pool is really nice at night too. Diners enjoy one-for-one wines, cocktails, beers and soft drinks. 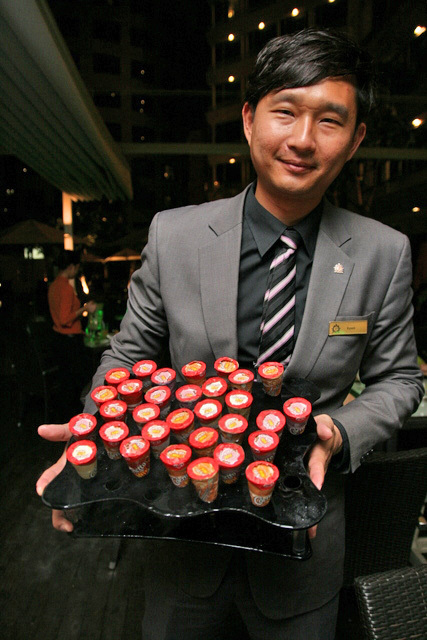 You get 20% off if you are on the Weekend Getaway promotion that the hotel is currently having. More reason to go for that staycation! One dines free for every two paying guests, with promotion code “Camemberu” given during reservations via phone 6593 8855 or email fnb.phcq@parkhotelgroup.com ! Valid till 31 October 2012. 11.00am to 10.30pm (Friday and Saturday). Many thanks to Park Hotel for arranging the promotion and the dinner.